When Elton John made his smashing American debut at the Troubadour on August 25, 1970, he was not yet widely known. He was originally booked as the opening act for David Ackles, a Los Angeles musical artist greatly admired by Elton John and his lyricist Bernie Taupin. But John’s record company pulled some strings to get the bill reversed. In conjunction with the release of his first album, John would become the headline act. who built his dream this way ? But I hold on to my dreams, anyway. I never let them die. 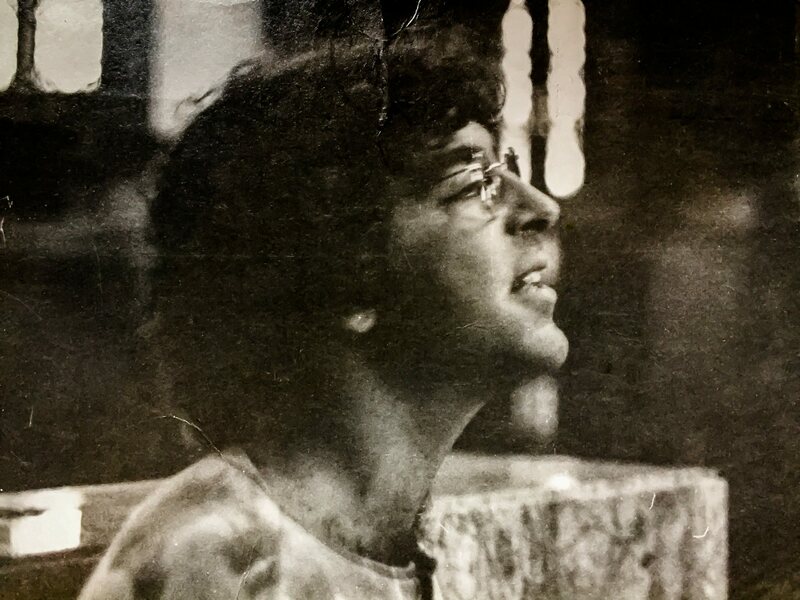 I first met David Ackles in early 1970, when I was working at Canterbury House in Ann Arbor, Michigan, an Episcopal campus ministry and coffeehouse known as one of the premiere folk music venues in the country. I was just out of seminary, working with two priests as an intern during the year of my “transitional diaconate,” the prelude to priestly ordination. While I was in residence, Canterbury House featured Neil Young, Doc Watson, Ramblin’ Jack Elliott, and David Ackles. David was one of Canterbury’s most popular performers, loved not only for his music but also for his manifest warmth and wry humor. He was a lifelong Christian, deeply spiritual and theologically astute, an authentic and generous man. And though some of his songs revealed a profound empathy with the suffering of displaced souls, there was an essential core in him—a comedic faith in resurrection—which survived the harrowing descent of the artist into the nether regions of the human condition. Before the show, I went backstage to ask David if he would consider singing at my ordination, and he graciously consented. While we were talking, Elton John entered the dressing room, wearing denim overalls with a cartoon duck patch on the front, to tell David how much he admired his work and how honored he was to share the stage with him. And the concert? It’s been nearly fifty years now. Details grow hazy; I can’t recite the set lists anymore. But I can still feel the electricity of that Hollywood night, the passion of the performers, the visceral connection they made with their audience. Stacy Sullivan, a jazz singer who once worked with David, is currently performing, in small New York clubs, “A Night at the Troubadour: Presenting Elton John and David Ackles.” While showing the brilliance of two stars aligning, her re-imagining of that night suggests the strangeness of fate: one singer became an international superstar, the other remained largely undiscovered. The New York Times has called Sullivan’s tribute a “tour de force” which “interweaves more than a dozen Ackles songs with several of Mr. John’s hits, radically deconstructed, into a dual portrait in which their opposite sensibilities (Mr. John’s gregarious showmanship, and Mr. Ackles’ dignified introspection) eventually merge.” [x] Lucky Easterners can still see her at Manhattan’s Metropolitan Room on September 10 and October 8. I can only pray that she will do a West Coast reprise. I promise to come. I remember the songs we sang Sunday evening . . .
and Jesus sang the song. David got lung cancer in the late nineties. When he went into remission, he and his wonderful wife Janice rented a Pasadena mansion, filled it with musicians, and threw a grand party for their friends, to celebrate the gifts of life and love. Then, in 1999, David departed this world, far too soon. He is dearly missed. But that gathering in Pasadena remains a joyous foretaste of the blessedness which awaits us all. till we sing them together again. [v] David Ackles, “Montana Song,” on American Gothic. Some of David’s songs can be heard on YouTube, and his albums can be found online as well.